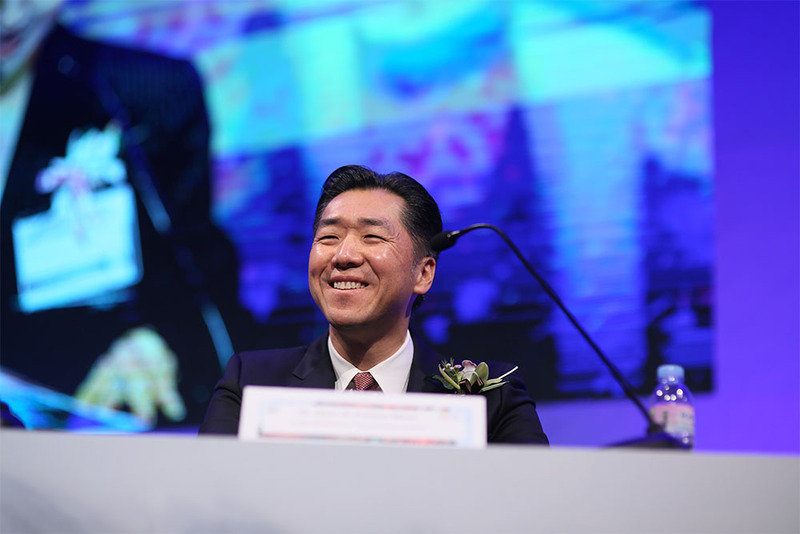 Dr. Hyun Jin P. Moon, Founder and Chairman of the Global Peace Foundation, outlined a vision for a unified Korea at the recent International Forum on One Korea hosted on February 27 in Seoul. 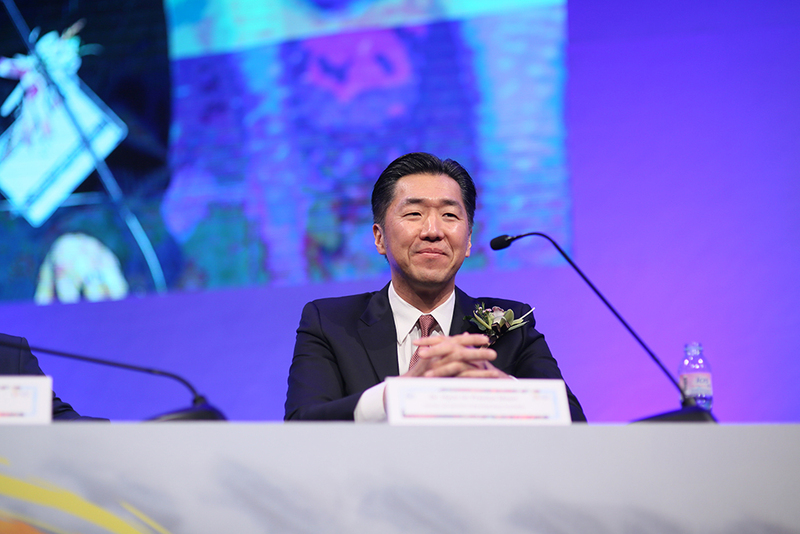 Part of the Global Peace Convention 2019, the forum gathered humanitarians, scholars, experts, and civic and religious leaders from around the world to reflect on the March 1 Korean Independence Movement and discuss a path forward for Korean reunification. Dating back to Korea’s founding mythology, the universal ideal of Hongik Ingan, meaning “to broadly benefit humanity,” served as a unifying force at pivotal moments in Korean history. 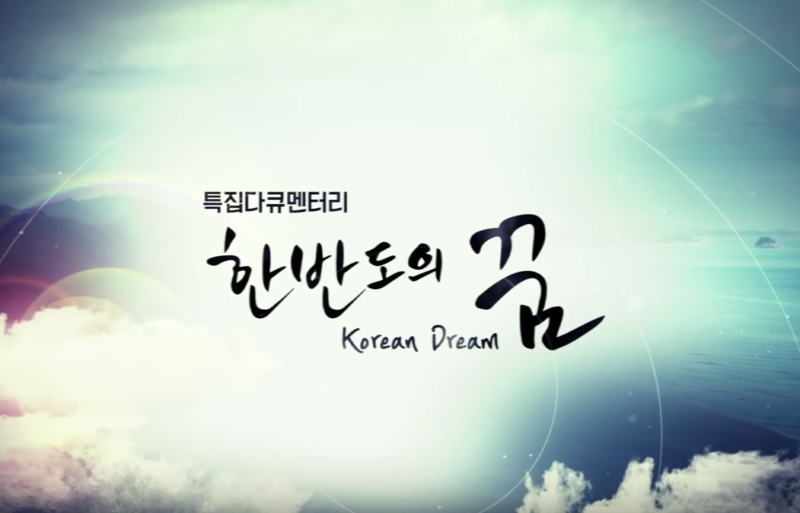 During the March 1 Korean Independence Movement of 1919 (LINK), Koreans from all walks of life rallied together to “peacefully demonstrate their right to fulfill their providential destiny to create an ideal nation that can serve all mankind,” Dr. Moon shared. March 1, also called the “Sam-il Movement,” was the first non-violent civil protest to Japanese and European colonial rule that would later inspire other national movements for independence throughout the 20th century. Dr. Moon’s “out-of-the-box approach,” mentioned recently in The Washington Times, looks to the common history and culture of the Korean people to outline what a new, united peninsula could look like. First, I looked to our common history and culture as an ancient people, beyond the divisions imposed upon the peninsula by outside forces. The common thread that ties all Koreans together is the founding mythology of Dangun and the ideal of Hongik Ingan. It is the very root of our Korean identity. The seventy-four-year division of the Korean people is but a drop in the bucket of our five-thousand-year collective history. Our Korean identity was the common thread that held our people together throughout the ages, allowing us to overcome tremendous challenges. The division on the peninsula is the challenge of our generation but it is by no means insurmountable. Secondly, I started with the end in mind by clearly stating that that the purpose of unification should be to create a new nation in line with our cultural heritage. It encapsulated the aspirations of the independence movement from which the leadership of the two Koreas had come and, thus, made it relevant for the discussion of a new unified homeland. In so doing, I put the emphasis on the outcome and not the process of unification, thus presenting a focus that looks beyond the current opposing ideological positions; and thereby enabling the dialogue to start from a blank slate. Together we can make the dream of a reunited homeland that brings peace to the world a reality. One Dream. One Korea. One World.